Great Investment Property. Centrally Located Building, Will Work For Almost Any Business. Presently Leased For A Church. Entire Building Was Remodeled, High Visibility Main Level Open Space Includes French Doors That Open To A Nice Private Office, 1 Bathroom, Storage Room and 2 Additional Rooms. Fully Finished Basement Includes; Kitchen, 2 Bathrooms, and 3 Rooms Currently Being Used For Classrooms....Tile Through-Out The Building. 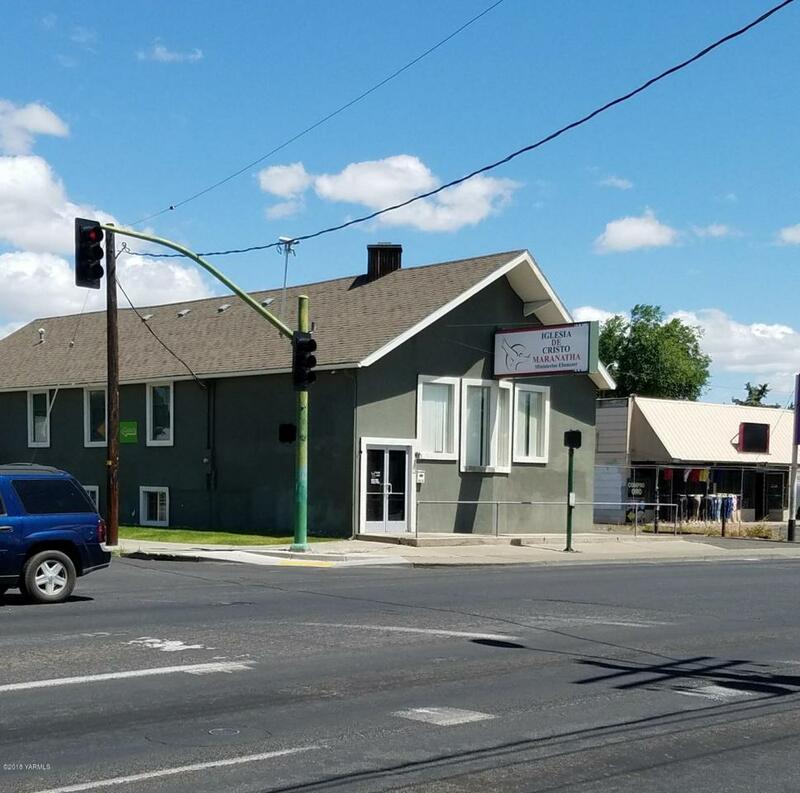 Listing provided courtesy of Lucy Ruelas of John L Scott Yakima.